Just a few years ago, and the very mention of “oil” left the health conscious everywhere in shivers. Low fat was ALL the rage, and oil was considered an evil food group that should be completely avoided. Diet crazes usually ignore a couple of key points. One of these is moderation. Just because something is low in fat does not mean it is inherently healthy. A sack of sugar is technically fat free, but does that mean you should dig in? Second of all, we actually need to consume some fat in our diets! They provide our body with fuel, keep our skin soft, make our hair shiny, and deliver crucial vitamins to our bodies. Some research even claims that “good” fats make the body able to burn fat more efficiently! I even have a super healthy friend who swears by a shot of oil in the morning, or a tablespoon mixed into their smoothies, to reduce unhealthy cravings. Fat is satiating, and getting it in through a shot of olive oil or coconut oil is better than eating an entire box full of cookies every night. A nutritionist once even told me that eating full-fat greek yogurt will leave you full twice as long as the non-fat alternative. You’ll get all the great benefits and feel satisfied, rather than endless trips back to the snack cupboard. It’s most important that we choose our sources of fat mindfully. Keeping away from artificial “trans-fats” and focusing on monounsaturated and polyunsaturated fats is the key. Of course, eggs, milk, cheese and yogurt (saturated fat) hold their place in a balanced diet as well. Coconut Oil: This is currently considered a super food. My Mom applies it externally to her hair and skin and SWEARS by it (I just read in Women’s Health that Carrie Underwood also uses it as a face cream). In food, coconut oil has been linked to improving digestion, increasing metabolism, and maintaining weight. Coconuts are full of nutrients! Olive Oil: A monounsaturated fat like olive oil can help keep your blood sugar levels in check, and can even lower your cholesterol. It has even been shown to decrease the likelihood of developing heart disease. I have used a mix of honey and olive oil in my hair overnight to fight split ends, and it leaves the hair feeling incredibly soft. 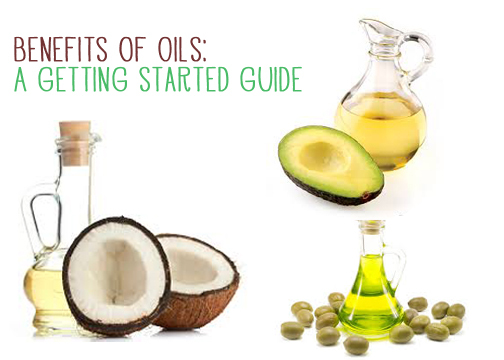 Avocado Oil: Another great oil that can be used for both food and beauty is avocado oil. Along with being high in Vitamin E, it’s helps to absorb other carotenoids and other nutrients, but it’s amazing absorbing power doesn’t stop there! It’s also used in healthy cosmetics for this very reason. Now tell us! : What are your favorite healthy fats? Any great recipes or home remedies using oils or “good fats”?